Why You Should Choose Taxi Services Over Metro in Toronto? 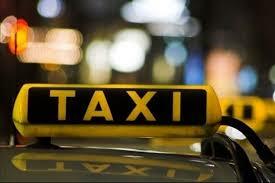 You are here: Home » Blog » Why You Should Choose Taxi Services Over Metro in Toronto? Are you visiting Toronto? Do you want to get the most out of your visit? You’ll need to ensure that you have the best option for getting around the Greater Toronto Area (GTA). This is a large city with many places to go and things to do. The metropolis is rich in architectural glamor including Casa Loma, Toronto Public Library and Osgoode Hall. You can visit the many landmarks that have made it famous including the CN Tower, St. Lawrence Market, and the Beach Village. Many of the city’s attractions are in the downtown area. However, if you really want to experience all that this metropolis has to offer, you’ll need a means of transport as many of the best attractions such as the Niagara Falls and Toronto’s vineyards, aren’t within walking distance. Many people visiting the city find that they have to decide between two options: Cab services or using the metro. If you’re travelling to the GTA, you may want to consider the pros of using taxi services in GTA. Are you only planning to explore the attractions within GTA? If you will be taking short trips between attractions, you may want to consider using a car service. They are much cheaper than using the metro for short trips within the metropolis. Are you travelling as a group? If you plan to travel with family, friends, or colleagues, you can save a lot of money by taking a car service. The cost of hiring a cab would be much cheaper than paying for four or more tickets on the metro no matter what distance you intend to travel. Do you need to get somewhere fast? Do you have a lot of baggage and require a pick up after a shopping spree? Imagine having to haul all that shopping down to the nearest station and then to your hotel from your destination station. Hiring taxi services in Toronto will make your trip much easier. The vehicle will come to your destination any time you need them. There’s no navigating the city to get to the nearest station or having to wait for the next train. You can get a cab any time of the day or night. If you’re not familiar with this area, opting for cab services would be the best option for you. It will ensure you get to your destination safely. You won’t have to worry about any security issues. Taxi services in GTA offer you the advantage of riding around the metropolis in comfort. The vehicles are well maintained and the drivers are professional and courteous. There’s no better way to enjoy this amazing metropolis.